Something different after all that food we ate for the holidays. If you want to give yourself a rest from the white flour, then, this is a recipe for you. I always keep different flours at home and combine them differently. I usually make small buns or a whole bread, but this time I made bagels. Be aware that these types of flour are pretty much different than the one you're used to. 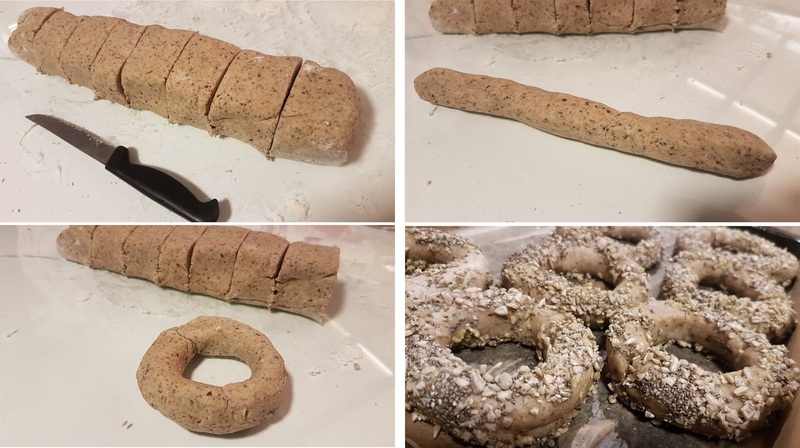 The dough is different and harder and that's normal. Mix the flour, add the baking powder and the minced seeds. Then add the melted butter, sour milk and gradually add the water. Mix with a spoon. Transfer the dough to a floured surface and knead it nicely, add more mineral water if necessary. You should get a non-stick dough that will not have softness like white flour dough. Divide it into 8 parts. From each part, form a longitudinal shape and then ring it in a circular shape. Glue the ends with water. Boil the water with the honey (or soda) and while the water is boiling, immerse bagels and left for about half a minute each. 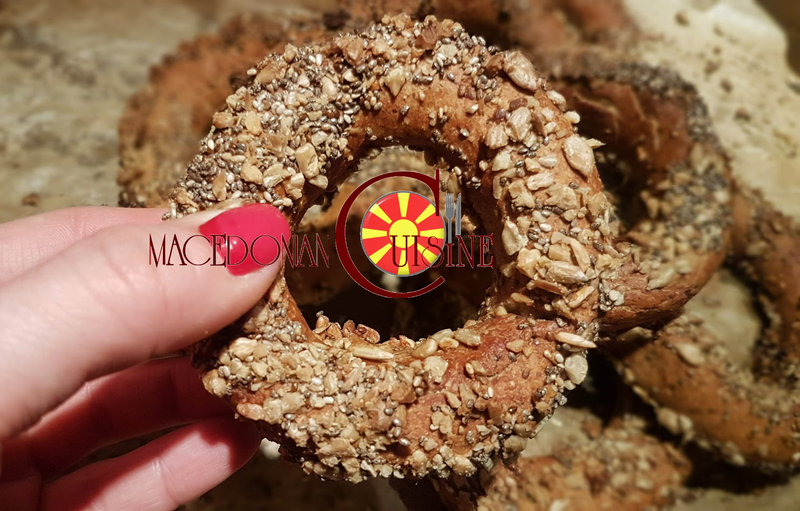 Take out bagels with a spoon with holes and dip into sesame seeds or other seeds, I dipped them in sunflower and chia seeds. Arrange on a baking pan with baking paper and bake at 200 C degrees for half an hour.